IDOCC—Improved Delivery of Cardiovascular Care. 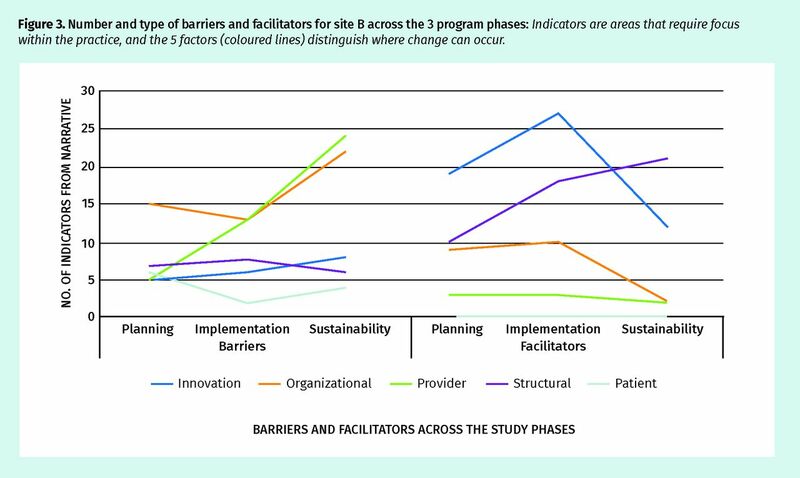 Number and type of barriers and facilitators for site A across the 3 program phases: Indicators are areas that require focus within the practice, and the 5 factors (coloured lines) distinguish where change can occur. 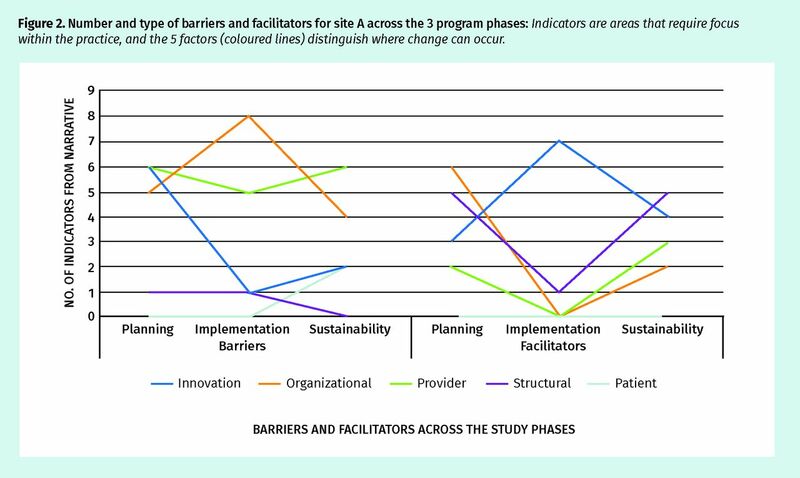 Number and type of barriers and facilitators for site B across the 3 program phases: Indicators are areas that require focus within the practice, and the 5 factors (coloured lines) distinguish where change can occur. EMR—electronic medical record, IDOCC—Improved Delivery of Cardiovascular Care, IT—information technology, PF—practice facilitator. ↵* The most common facilitators and barriers identified in ≥ 25% of a given subtheme for either case, noted by program phase.